The updated iMacs will be powered by Intel Core i5 and Core i7 processors, How To Arena reported on Wednesday, citing a "reliable tipster" from the Chinese supply chain. The new desktops will reportedly be powered by Intel's 22-nanometer Ivy Bridge processors. If the timeframe is accurate, the new iMacs are expected to follow updated MacBook Pros to market. Reports have suggested that Apple plans to first update its 15-inch MacBook Pro with Ivy Bridge CPUs, followed by a refresh of the 13-inch model. Both are expected to launch in the coming months, and the 15-inch model could debut as soon as this month. The latest rumor comes on the heels of a separate report which claimed that Apple's 2012 iMacs will feature anti-reflective glass displays from G-Tech, marking a first for the company. Previously, Apple only offered anti-reflective solutions as build-to-order options on its MacBook family of notebooks. The new iMacs were also said to be noticeably slimmer than their predecessors, suggesting that the all-in-one desktop is poised for a hardware redesign. 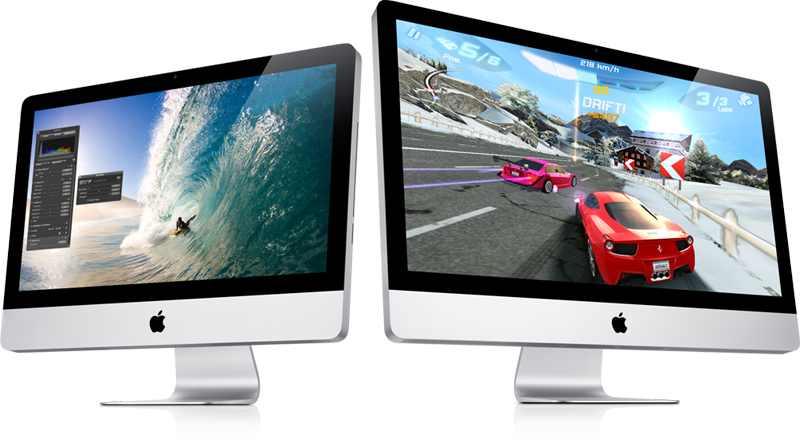 The iMac was last redesigned in October of 2009 when Apple launched new models with 21.5- and 27-inch LED-backlit displays. The June-July timeframe for new iMacs is plausible, as Intel is expected to launch its new Ivy Bridge line of processors at the end of this month. The new chips are also expected to find their way to Apple's redesigned lineup of MacBook Pro notebooks.